And not only because of that shark-like grille. Known for the outlandish designs and intense tuning it has perfromed on a range of cars, Larte Design has established itself as one of the wildest Range Rover tuners out there. , we showed you the company's Range Rover Sport "Winner," an eccentric black and white SUV featuring a host of exterior upgrades. 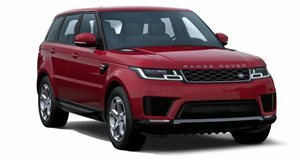 Now, the company is showing off another Range Rover Sport, this time with an even more controversial design and an impressive boost in power and performance. The first thing one notices on this "Winner" of a Range Rover is its new front fascia, which looks particularly ready to bite. In this blue and silver project, the folks at Larte have taken the RRS' 4.4-liter turbodiesel V8 and improved its output from 340 to 400 horsepower. In addition to the custom grille, the SUV also gets larger air intakes, a new bumper, diffuser, splitter and roof-mounted spoiler. It also features a four-flow Larte exhaust system and black chrome pipes, in addition to new side skirts and black satin wheels. The company has not announced pricing for the upgrading project, but this Monaco photoshoot should help you decide if the result is better than the original factory spec.